A burst water pipe at the Koufu-run Gourmet Paradise on Sunday morning (Oct 7) soaked parts of the foodcourt in water and resulted in the place being closed for almost three hours. 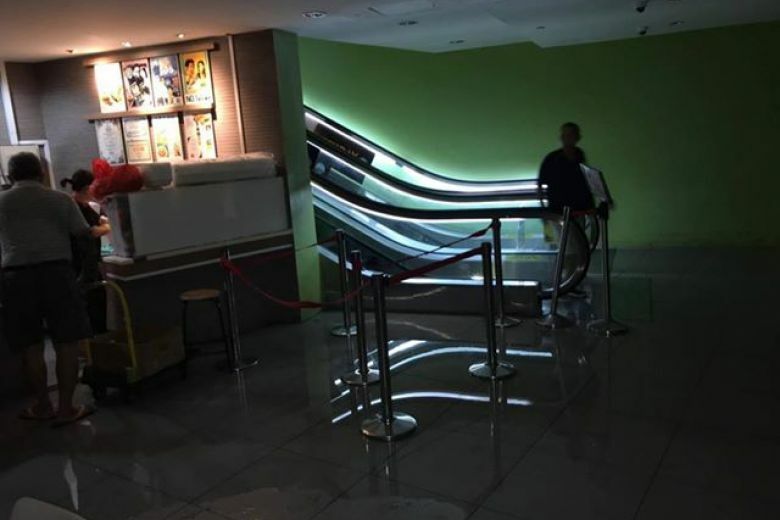 SINGAPORE - A foodcourt run by Koufu was shut for almost three hours on Sunday morning (Oct 7), after a burst pipe soaked parts of the basement foodcourt in water and caused a section of the premises' false ceiling to collapse. In response to queries, Koufu group chief operating officer Choo Teck Chuan told The Straits Times that business at the Gourmet Paradise outlet in Toa Payoh HDB Hub was temporarily disrupted between 8.55am and 11.30am. "Upon investigation, we found that the joint of the water pipe gave way. This has since been rectified and it was business as usual by noon," Mr Choo said. "We are committed to providing a good dining experience for all customers, and apologise for the inconvenience caused to our customers." He added that Koufu, a home-grown foodcourt operator, will continue to closely monitor all facilities and will closely track the serviceability of its operating equipment. Photos sent to ST by a reader showed a gaping hole in the ceiling above fast-food chain Popeyes in the foodcourt. Undergraduate Liu Shi Min, 24, told ST that she was having breakfast with her brother and her grandparents when the incident happened. She estimated that there were about 50 people in the foodcourt at the time. "The lights suddenly went out and water poured from the ceiling... There was enough water to (cover) half the foodcourt and leak into the carpark," she said, adding that her shoes and socks were soaked from the water. "It sounded like it was raining heavily. I initially thought that (the management) was using a powerful machine to clean the floor." Ms Liu said that there were some elderly people in the foodcourt when the incident happened and they had to make their way through areas covered with water to reach the lifts on the other side of the premises. She said the incident went on for around 30 minutes, noting that some patrons approached stallholders for help but the latter did not know what to do either. When ST visited the foodcourt at around 2.30pm on Sunday, the floor was already dry, with most tables occupied by diners. But the Popeyes' outlet remained closed. A few pieces of black cloth were used to cover the gaping hole in the ceiling. Foodcourt stall workers said that they were able to continue preparing food for customers once work began to clear the water on the floor, but they had to make do with a loss in business because of the burst pipe. Mr Malcolm Li, 27, who works at the chicken rice stall in Gourmet Paradise, said: "Normally, many churchgoers would come in after the morning church session ends at around 11am, so we missed out on this crowd." Mr Li hopes Koufu's management can provide information to employees and tenants on how to assist patrons during such incidents. "Customers had to seek out the drinks stall aunties for help, and with many of these customers being elderly, there is an increased risk of them falling on the slippery floor," he said. Koufu recently made its debut on the Singapore Exchange's mainboard in July. It was founded by executive chairman and chief executive officer Pang Lim in 2002. His wife and executive director Ng Hoon Tien is a co-founder.